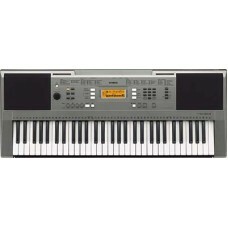 Product Details: The Yamaha PSR E353 offers all features you need to get started with playing a musical instrument. High quality sounds, touch sensitive keys, lightweight design and even educational tutorial features come built-in as standard. When playing a musical keyboard instrument it is important that you can enjoy your time playing. If the sound is not up to scratch then you may well be put off. The PSR-E353 comes with high quality sounds as standard so you can enjoy your music right from the start. sounds var from Pianos, strings, guitars, drums, synth, effect and everything in-between. 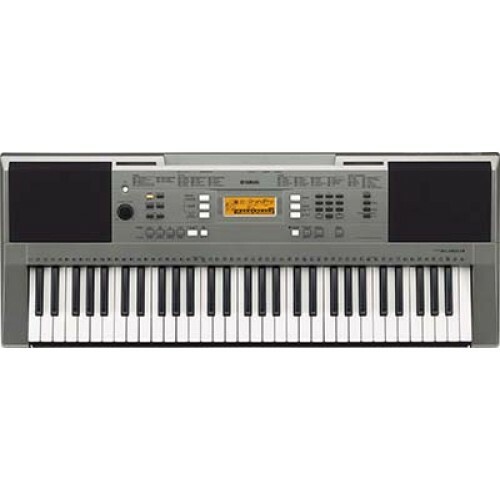 A very important aspect of learning to play keyboard or piano is the way the instrument responds to touch. The PSR-E353 is the first Yamaha in the range to offer touch sensitive keys allowing the player to express their musicality. Just like a real instrument such as a piano, when played harder the sound will become louder and brighter and if you play softer it will become quieter and more mellow. There are hundreds of backing styles to choose from covering every musical taste you could imagine. From Rock to Jazz and Reggae to Blues, the E353 keyboard has a large selection to make sure you favourite musical tastes can be played. Enjoy the built in benefits of a Yamaha tutorial system. Yes, the PSR-E353 can actually help teach you to play. In built are multiple methods of learning to ply. Theres a scoring function that makes it fun to develop your skills and a "waiting" function that adjusts the tempo to suit the person playing, pausing the backing track until the correct note is played. Connect additional devices to the PSR-E353 keyboard for a multitude of different uses. By connecting a iPad or iPhone compatible device with an optional cable, you can make use of a selection of Yamahas apps. for example make use of the Yamaha Sound Controller App which can edit and modify the sounds in realtime using the screen of your device. Other apps include My Music Recorder which can record sound and video for upload to social media websites. to top it off there is an aux input socket for connecting an external audio device so you can jam along with your favourite songs.